If you are a music buff, then you must be familiar with Lollapalooza. The international music festival is held in different cities all over the world like Chicago, São Paulo, Berlin, Santiago, Buenos Aires, and more. Lollapalooza Chile is quite special as it is the first leg of the annual festival that took place outside the USA. Lollapalooza Chile is back again this year with a bang. This touring festival will be held in March this year and would feature some of the biggest names in the music industry. Read on and get to know more about Lollapalooza Chile 2018. 2018 Lollapalooza Chile: What Is It All About? Lollapalooza has its roots way back in the early 1990s. While the festival faced a decline in the early 20s, it soon got a revival and is now considered as a go-to place for every budding and leading musician. The first leg of Lollapalooza Chile took place in 2010 and ever since there was no looking back. This year, Santiago is all ready for the 8th edition of the music festival. It will be held from 16 to 18th March, 2018. The lineup is pretty impressive with artists like The Killers, Pearl Jam, and Red Hot Chili Peppers already confirmed. 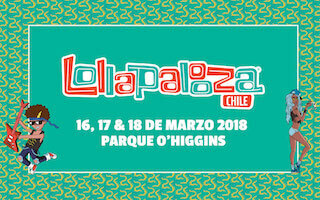 Just like every year, the location for this year’s Lollapalooza is O’Higgins Park, Santiago, Chile. While children of age 10 and less are freely allowed, all the individuals who are above 10 years need to get a ticket. Since Lollapalooza of Chile sells out pretty soon, we recommend getting your ticket in advance. If you have been to Lollapalooza festival Chile before, then you would face no trouble getting around. Though, first-timers should know that Parque O’Higgins is the second largest public park of Santiago with a capacity of holding more than 15 thousand people at a time. If you are flying to Santiago, then you need to take a ride (bus or cab) to Los Héroes. It is a one-hour ride from Santiago International Airport. From there, you can take the L2 metro and reach the venue in a few minutes. The organizers have a ride-sharing system and buses arranged for its attendees too. You can know more about it from its official website. Lollapalooza 2018 Chile is one of the biggest music festivals in South America for rock, pop, hip-hop, electro, metal, and other genres of music. To make sure its attendees have an ultimate experience, different stages are placed. They are VTR stage, LOTUS stage, ACER stage, Kidzapalooza (for kids), Perry’s Stage, ITAU stage, and Aldea Verde. Here is the complete lineup of all the 3 days. Some of the acts that you just can’t miss are The Killers, Alan Walker, Chance The Rapper, Camilla Cabello, Imagine Dragons, Lana Del Ray, Wiz Khalifa, Red Hot Chili Peppers, Pearl Jam, Khalid, DJ Snake, and LCD Soundsystem. If you are heading to Lollapalooza in Chile, then you should catch up a little by listening to the old tracks of your favorite musicians who are performing at the festival. 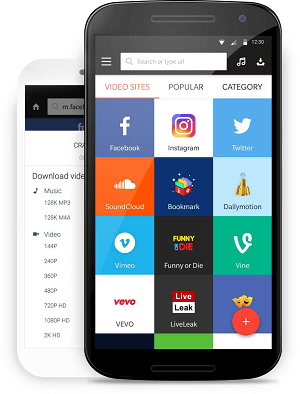 Simply download Snaptube on your Android device and listen to your favorite tracks without spending a dime. The app has integrated various platforms like YouTube, Vimeo, Dailymotion, etc. in one place. In this way, you can stream the music of your choice and multitask while looking for any other kind of content on the app. We have all kinds of genres and songs from different countries that are bound to meet every entertainment need of yours.